For what seems like forever, I’ve been prefacing my weekly Caught My Eye Friday post with an update on my wife’s pregnancy, moving from excitement to impatience to just plain over it. Now our new little girl has arrived and all is… well… good. Rather than landing like a comet (like Little Miss 2.5) our new little girl has glided in gently. Sure there’s little if any sleep but relatively speaking – it’s all good. Bugger all done… and loving it! It’s been interesting being a non-attending participant in this weeks Digital Parents Conference. Thanks to twitter, instagram and Facebook I’ve managed to know, in detail, just how much I wished I could be there. I’m sure that there are lots of us #notatDPCON13 bloggers that got little done as we watched the updates from the lucky attendees. I’m looking forward to the burst of energy that is no doubt going to fly around the Aussie parent blogosphere in the next few months – hopefully some will rub off. Rachel from the very inappropriate blog is funny. Weird, twisted, clever-funny. She’s got a brain that seems to function on a whole other plane of creativity. I read her stuff and alternate between jealously and joy. I stumbled upon the blog in February reading a post called I am the Phoenix and sat in stunned silence as she wove a cutting, hilarious tale together about… a phoenix. If you like off beat thinking, swearing and get tears in your eyes watching old Monty Python movies then this stuff will work for you. Other posts of HUGE note are Thoughts from the first few months of parenthood and the pitch where she discusses a very clever addition to the band “one direction”. Rachel is refreshing sharp and smart – follow her on twitter and like her on Facebook – you won’t regret it! Sharing with Grace because she’s awesome. 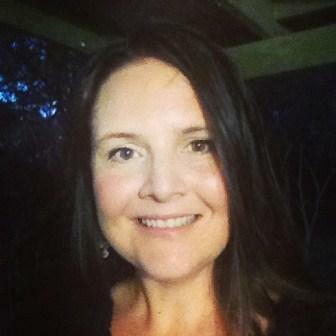 Loving being part of the aussie parent blogging community right now – well done all. This entry was posted in Caught my eye and tagged Facebook, Monty Python, Phoenix, Social Networking, Twitter. Bookmark the permalink. Thanks for finding us some new bloggers to stalk in our spare time. You make my life easy. You’re bloody good at that gig. Pleasure – It’s pretty easy to find a good blog to read at the moment – too many of them around in fact! Nice work Kev, once again. I’m on it! Love Rachel’s blog. She’s a smart cookie. I virtually attended DPCON as well. 😦 Ah well. 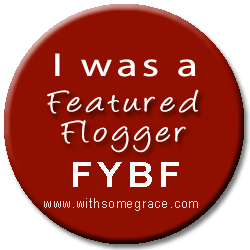 As you say, all the renewed energy in bloggy land can only be a good thing, and if I know these people like I think I do, they’ll be sharing all their newfound knowledge with us in their typically generous style. I haven’t had a chance to check it Rachel’s blog but I’m looking forward to it! We missed you at #dpcon13 Kev! Hopefully next year you can make it. I’m already making plans for next year! I have heard a whisper of some Sydney Bloggers drinks coming up in May so that is something to look forward to! Rachael and the VIAB completely Rock. She is a breath of fresh air to our blogging community. BTW: Good luck with your Kidspot nomination. If there is any justice you will make the grade. Thank you Kevin, definitely a great addition to my blog reads. Thanks Kev for giving us some stellar new blogs to peruse. Very innapropriate blog is the bee’s knees isn’t she? I’m the author of Cocktails at Naptime so pop around for a cocktail any time or a manly pint!